DETROIT- For nearly two decades following the 1991 Gulf War, doctors noticed a trend in many of veterans of that conflict: an unexplainable cluster of symptoms including but not limited to chronic fatigue, memory loss, and depression. 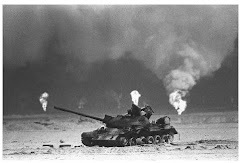 It wasn't until 2008 that a scientific panel from the U.S. Department of Veterans Affairs concluded that a third of American troops who served in the Gulf War were suffering from combinations of these symptoms, now recognized collectively as Gulf War Illness (GWI). Now, Henry Heng, Ph.D., associate professor in WSU's Center for Molecular Medicine and Genetics, also of the Department of Pathology and Karmanos Cancer Institute in the School of Medicine, intends to discover GWI's mysterious biological cause. Heng was recently awarded a $900,000 grant from the U.S. Department of Defense to study whether GWI stems from genomic instability, which he believes is the common link among GWI patients. After conducting an experiment for a program about Gulf War Illness broadcast on the Discovery Channel, Heng observed that patients who had GWI symptoms also tended to have extremely high levels of genomic instability, illustrated by increased chromosomal aberrations detected in their blood cells. "To our surprise, we found that all of the GWI patients tested showed extremely high levels of chromosomal abnormality that were as high or higher than some cancer patients," said Heng. The Discovery Channel program has received a great deal of attention from veteran groups. Heng's hypothesis is also drawn from the genome theory, which suggests that complex disorders are not caused by individual genes, but rather by diverse factors not commonly shared and that affect the entire genome, which comprises the complete complement of genetic material of an organism within the nucleus and includes the genomic topology and the genetic network. When abnormal chromosomes form, the entire genome-defined system changes. "We propose that under the extreme environment of war, some individuals' genomes will become increasingly unstable, and war-induced genetic instability will lead to diverse disease traits that can be characterized as GWI," said Heng. As his research on GWI progresses, Heng anticipates that his findings may make it possible to use simple blood samples to identify GWI patients. "Establishing GWI as a complex disorder and identifying its general causes will not only allow accurate diagnosis of this condition," said Heng, "but also move us toward reducing the prevalence of this condition in the future." Collaborators include Saroj Chowdhury, M.D., and Christine J. Ye, M.D., physicians at the John D. Dingell VA Medical Center, and Joshua Stevens, Ph.D., postdoctoral research fellow in Heng's lab. Last year, a scientific panel through the Department of Veteran Affairs concluded that there is overwhelming evidence that Gulf War Illness (GWI) is a widespread problem affecting Gulf War veterans. 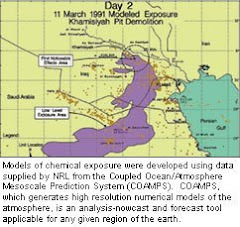 Studies indicate that between 175,000 and 210,000 of the American veterans that served in the 1990-1991 Gulf War suffer from GWI. Despite this "official" acceptance, providing a solid scientific explanation connecting the multitude of symptoms and diverse causative factors displayed in GWI represents a great challenge. Increasing evidence indicates that many diseases are "complex", such as Cancer, Hypertension, Autism, and Schizophrenia, which are in contrast to the traditional concept that "common diseases are caused by common genetic causes." Likely, GWI represents a complex disease both from disease presentation and the causative factor point of view. Traditional approaches to complex diseases have tried unsuccessfully to identify common causative factors such as key gene mutations that are purported to be responsible for the specific disease. Increasing evidence challenges this type of approach with regard to complex diseases. Many common diseases are actually caused by multiple and diverse genetic and non-genetic factors. Interestingly, this idea is now shared by many others who hypothesize that the complex theory may help our understanding of complex disease conditions like GWI. In August 2007, our lab was invited to participate in a television program broadcast on the Discovery Channel, where we performed spectral karyotyping or SKY analysis (a cutting edge cytogenetic method used to study cancer abnormalities at the chromosome level) on blood samples taken from patients that were identified as having "Gulf War Syndrome," and to our surprise, we found that all of the GWI patients tested did show extremely high levels of a chromosomal abnormality that were as high or higher than advanced cancer patients. In light of this preliminary evidence, we propose that under the extreme environment of war (including various factors for a given patient population) some individual's genomes will become increasingly unstable and war-induced genetic instability will lead to diverse disease traits that can be characterized as GWI. As a complex disease, despite variable symptoms, GWI patients do share a common physiological finding of an unstable genome that can be detected as chromosomal instability through a simple blood test. Our research strategy is based on the complex system theory that states that various factors trigger the genetic system (genome) to become unstable in GWI (possibly only to those with a genetic predisposition to becoming unstable) and that an unstable genome causes the many varying symptoms associated with GWI. Using both in vitro and in vivo systems, we plan to link identified causative diverse factors to genome instability and the GWI status. If successful, this research proposal will establish the link between genome instability and GWI. Then, this link can be used to establish the underlying molecular basis of GWI, explaining the varied symptoms and causes, and also can be used to provide a method, through a simple blood test, to identify GWI patients and identify individuals with a predisposition to develop GWI. We anticipate that if this study is successful that the use of our methodology applied through simple blood samples could be quickly adapted for use to identify GWI patients. A larger study would then need to be conducted to develop clinical diagnostic criteria. Finally, the establishment of the underlying genetic basis of GWI as a complex disease and identifying its causes will not only allow accurate diagnosis of this condition but move toward identifying susceptible individuals and limiting exposures of soldiers to potential hazards that will likely diminish the prevalence of this condition in the future.